Sugar is seen as one of the worst foods we consume these days. Sugar has become our best friend, the one we hold the dearest to our heart. We add it as a sweetener to our coffee, it is hidden in pretty well all processed foods and it has become something that it is virtually impossible to avoid unless we are preparing all our foods from basic, raw, fresh ingredients ourselves. With the rapid rise in weight for a large part of the population, and widespread concern about chronic disease that is connected with obesity, many people are now searching for alternatives to sugar as part of a general clean-up of their diet as a whole. In the campaign to deal with the obesity epidemic there have even been calls to have sugar consumption regulated by placing a tax on it. These days refined sugar is regarded as one of the worst foods around. When it first appeared in Europe courtesy of the Arab traders, sugar, like many of the new exotic foods was a luxury enjoyed only by the wealthy. But ironically it is the wealthy who are now more able to avoid sugar, because they are able to avoid the cheap, processed foods, which are made with large quantities of white sugar added. Paradoxically, given the rise in obesity numbers in Australia, sugar consumption in Australia has fallen. In 2011 the average Australian still consumed 42kg of sugar per year, or 800gm (nearly a kilo!) each week. This figure can be compared favourably to the 57kg that was consumed back in 1951, a significant drop over 60 years, but nonetheless, still a large amount of sugar. In both the USA and Australia, 22 teaspoons of sugar are consumed on average every day. But in the USA sugar consumption, as well as obesity rates, has risen. In the UK consumption is closer to 16 teaspoons of sugar a day, or 1.25lbs a week. Most people by now have seen the TED video by Jamie Oliver where he demonstrates just how much sugar from milk alone is consumed by a child in USA before they reach school. Remembering that it is even more than this in Australia and the USA, it is indeed cause for alarm. One very simple way to make change in your diet is to address both the quantity and the types of sugars that it contains. Artificial sweeteners are not really the answer. While they are simple to use and have been used extensively throughout the processed food industry to create the ‘low-fat’ and ‘light’ ranges of foods they pose a number of problems when you use them. Aspartame for instance, marketed under a number of brand names, has been linked with cancer and connected to all sorts of other problems. SACCARIN is 300 times sweeter than sugar. But this artificial sweetener can cause allergic reactions if you have a problem with sulfa drugs. CYCLAMATE is 30 times sweeter than sugar. It is allowed in Australian foods, although banned in USA because there are risks of chromosome damage and bladder cancer. SUCRALOSE is a synthetic chemical. Because of the way it is made, your body is not able to break it down so it passes straight through. Or it should! But studies on animals showed that some sucralose was absorbed by the gut and resulted in anaemia, infertility, calcified kidneys, abortions, even death. There has only been one tiny study of the effects of sucralose on humans, and that study only lasted four days, not long enough to guage any long-term effects on the human body. 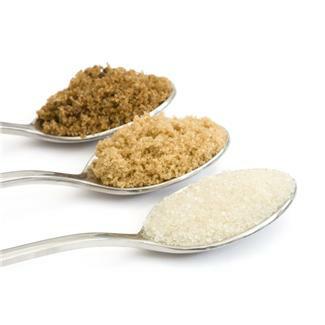 More recently a new breed of sweeteners has hit the shelves which offer better options to the health conscious. STEVIA is probably the most prominent. 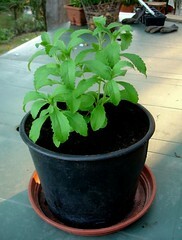 It comes from the herb Stevia rebaudiuna from Paraguay in South America. It is up to an amazing 300 times sweeter than sugar so you need to only use very little. There is actually some research that suggests that stevia may decrease blood glucose levels, without resulting in hypoglycemia. With zero calories and no glycaemic impact it can be used by diabetics. The natural herb seems to be a perfect substitute for sugar. In Australia it is becoming more common to see stevia used as a sweetener in many foods. In the USA however, it has not been granted approval in its natural state as a sweetener. Ironically though Coca Cola and Pepsi were both granted approval for their own processed version of Stevia which they manufactured to add to their diet drinks. It seems absolutely crazy that a chemical version manufactured in a lab gains approval when the natural herbal cannot. One of the disadvantages of Stevia is that it sometimes has a slight bitter aftertaste. The aftertaste is only a problem for some people and should not be enough to put you off using it. You may find the liquid form is better if this bothers you. You can buy stevia in health food stores and grocery stores. Be careful when buying it and make sure to read the label. I found the ‘Natural Stevia’ on the supermarket shelf was mixed with aspartame making it an obviously undesirable product. Sometimes you can also get the green leaf which is better for you. COCONUT PALM SUGAR is a sweetener that is, deservedly, gaining popularity right now. Coconut sugar is nutritious with a low glycaemic score, so unlike processed white sugar, it won’t give you a ‘high’ followed by a crash. It has a rich flavour, a bit like brown sugar, and can be substituted directly for sugar, spoon for spoon. Although the trade in palm oil is having a detrimental effect on the orangutan population, it is worth knowing that palm sugar comes from a different species of palm to the one that is widely planted in the cleared forest areas inhabited by the orangutans, the one that is used for palm oil. The sugar is extracted from the harvested flowers. The trees live for twenty years and provided that enough flowers are left on the tree for pollination to ensure future crops, it is regarded as a very sustainable crop, one that can be grown anywhere and one that provides small communities with a cash income. This species of palm tree is particularly useful in areas where the soil is degraded as they restore otherwise damaged, compromised soils and they require very little water or soil nutrients. LUCUMA POWDER is an excellent source of nutrients. It originated in the highlands of South America. Lúcuma is a large sweet fruit which contains fibre as well as good levels of beta-carotene, iron and vitamin B. It has a low sugar content but is sweet, with a taste similar to maple syrup. 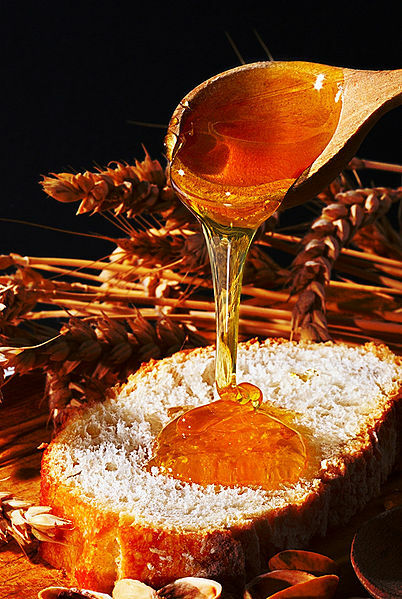 MANUKA HONEY or RAW HONEY has been used as a sweetener for generations. As well as being a delicious sweetener it has wonderful health benefits. Its properties as an antibiotic, antifungal and antimicrobial meant it was traditionally used to treat a wide range of ailments, particularly when there was infection present. Rich in phytonutrients, including antioxidants, minerals, vitamins, amino acids, enzymes and carbohydrates, raw honey is a Superfood. BUT you must be careful with your honey…I am not talking about any old honey off the supermarket shelves which has been processed and contains few nutrients. This is MANUKA or RAW HONEY we are talking about here – search it out. And limit the quantity you use. XYLITOL is one of the sugar alcohols, along with erythritol, isomalt, lactitol, maltitol, mannitol, sorbitol, which are derived from the sugar found in fruit. Sugar alcohols are absorbed by your body slowly and so can pass through the whole gut before they have been totally absorbed. Unlike stevia, xylitol does contain calories, but far less than what is found in sugar. Many love it because it can substituted directly for sugar, one spoon of xylitol for one spoon of sugar, it has no aftertaste, and only about a third of the kilojoules of sugar but tastes just as sweet as sugar. I know many health practitioners who recommend xylitol. But because it is not well absorbed, it can cause dramatic abdominal cramping, bloating and diarrhea in certain people, and for the sensitive this may be severe and it may occur after just one single teaspoon. Also, although it is made from plants – birch bark, corn or sugar cane fibre, in order to bring about the change from the fibrous plant state to the white grains it requires a deal of processing which involves using man-made chemicals including amongst others, sulfuric acid and phosphoric acid. It’s worth noting that xylitol is toxic to dogs, so make sure you don’t feed meal scraps that were made with xylitol to your pet. Maple Syrup is often used in place of honey. It contains reasonable amounts of the trace mineral manganese as well as some zinc. I love maple syrup, one of my favourite natural sweeteners. But make sure to buy the real deal – organic maple syrup. Some of the stuff around is just sweetened and coloured water. Brown Rice Syrup contains some manganese, magnesium and zinc but is highly refined. One good thing though is that it is usually organic, and all natural. There were reports last year that brown rice syrup contains arsenic so you may want to avoid it. But when it comes down to it even though these are natural sweeteners they are still basically sugars. If you really want to get healthy and reduce your risk for diseases like cancer, heart disease, obesity or diabetes then it really boils down to reducing your craving for, and consumption of sugar. Most foods that are highly sweetened are not those that are the most healthy anyway, usually they are high in carbohydrates and fat. If you really want to get healthy you need to tame that sweet tooth. Cutting out sweeteners breaks the sugar craving cycle that sets up in your brain every time you eat sugar (or other sweet food). Once you stop eating sweet food even though you may suffer intensified cravings initially, you will very soon find that you don’t miss it because you have broken the cycle and stopped the craving for sugar. The other positive is that your taste buds become more sensitive and you will start to really taste the natural sweetness in foods like fruit a lot better. What is your favourite natural sweetener? provider before following any of the treatment suggested on this site, particularly if you have an ongoing health issue.